If you are a frequent reader of personal finance blogs, you may be familiar with this common narrative: a popular parable about two people who both want to save $100,000 for their retirement. One individual starts saving towards retirement at 30 and puts away $10,000 every year until their 65th birthday to accomplish their goal. The second person starts at 20 and manages to put enough away to amass the entire $100,000 by their 30th birthday. 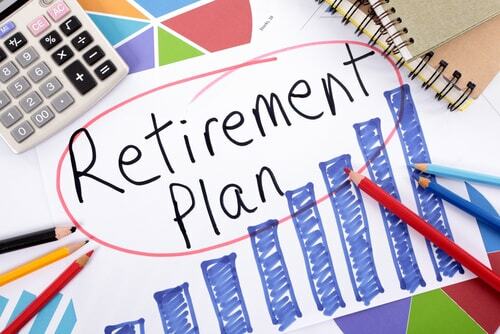 Assuming the individuals both invest at a 7% return rate, the one who started at 20 would have $1,150,615.18 on which to retire, without putting another penny toward retirement after their 30th birthday, while the second individual would have $1,065,601.21 for all their efforts. This story is meant to highlight the powerful nature of compound interest and the advantages of using it to start saving early for your retirement. 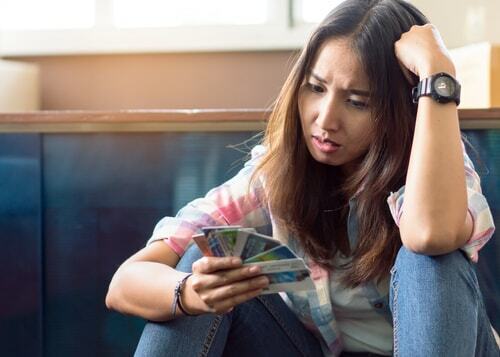 It's almost impossible to avoid some amount of student loan debt, but you can avoid credit card debt. Something you charge today could end up costing you substantially more with interest and possible late fees. The best way to use credit cards or other lending products like auto title loans is responsibly and sensibly. Account for all the charges you make and pay them off as quickly as possible. This not only keeps you from accumulating too much debt, but it will help you establish a solid credit score. It might not sound like the most appealing advice, but it might be the wisest and most simple financial guidance you ever receive. Your friends may invite you to a variety of fun but costly events, and you might find yourself saying "no" more often than you'd like to reach your financial goals, but you'll appreciate it when you can afford to buy your first home when everyone else is still renting. Attending Coachella music festival, PAX West, or a cruise getaway might be hard to pass up in the moment, but it might mean you don't have to pass up on the lifestyle you want a few years down the line. Carpool to work and back or use public transit. Try to cut out unnecessary expenses wherever possible and put it toward your savings. If you live above your means right out the gate, it's only a matter of time before you get caught up in the minimum payment cycle. You don't have to spend a lot to have fun, and your future self will thank you for your self-discipline. Maybe you're comfortable with your current job, but your income is still coming up short of your financial goals. If your current employer doesn't mind, you can always look for a second job or other less formal ways to make extra money on the side. Freelance writing, tutoring, or even blogging can help you make the extra cash you need. Check out sites like Upwork or Indeed for the type of work that interests you. Sign up is as simple as an online job application, and listings include the duration of the project or the number hours a week, as well as how much you can expect to earn. If you have a phone and you have things to sell, you can make some extra cash on LetGo, OfferUp. If you have a skill or free time, you can even find odd jobs through apps like Takl or ThumbTack. Fancy yourself a dog person? Why not be a dog-walker or offer doggy day-care on Wag! or Rover? Maybe you just got a nice new car; why not drive for Uber or Lyft to help pay it off? There are as many options as there are needs to fill, so find your niche and get that money. When you don't see yourself growing where you are, it can be easy to feel trapped in your current job. Consider your time as one of your most valuable and scarcest resources and explore new employment options based on your skills, experience, and interests. Perhaps you could take on a role with more responsibility, especially leadership positions where there's a clear path for advancement. Don't be afraid to ask about benefits like health and dental, as well as retirement matches like 401(k) or IRA programs before making your selection. The person interviewing you will be focused on the bottom-line of their business, so you should make sure that you're happy with your bottom-line as well. You don't have to save $100,000 by the time you're 30 to enjoy a comfortable retirement, but it never hurts to aim high. 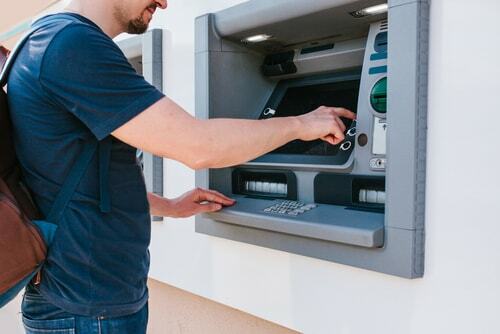 You might not have $10,000 to put into your savings every year, but the sooner you start contributing to your retirement, the more money you could stand to gain on your initial investment. Once you have a rainy-day fund of about $1,000 set aside for emergencies, assess how much money you truly need to cover your expenses each month, and focus on trying to save that amount, and then two months, then three. Take baby steps toward your retirement goals, and when you finally do stop working, you'll be grateful that you planned ahead.